30 Years After Explosion, Challenger Engineer Still Blames Himself : The Two-Way Bob Ebeling, an anonymous source for NPR's 1986 report on the disaster, tells NPR that despite warning NASA of troubles before the launch, he believes God "shouldn't have picked me for that job." 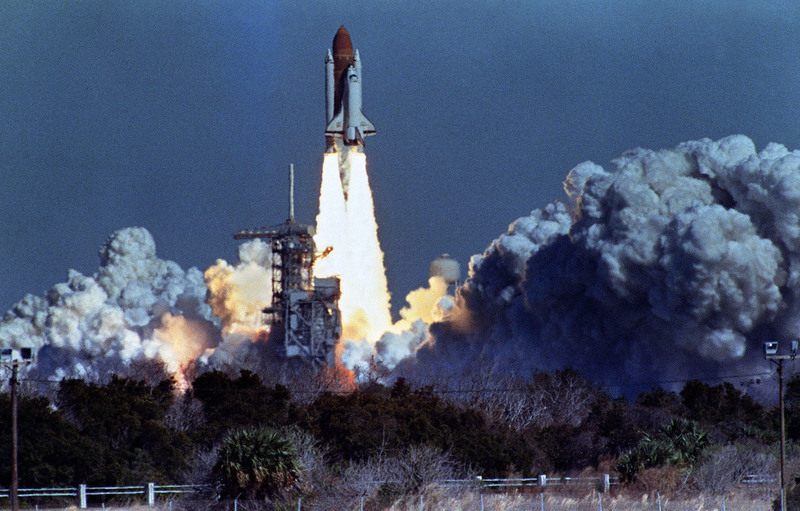 The Challenger lifts off on Jan. 28, 1986, from a launchpad at Kennedy Space Center, 73 seconds before an explosion killed its crew of seven. Thirty years ago, as the nation mourned the loss of seven astronauts on the space shuttle Challenger, Bob Ebeling was steeped in his own deep grief. The night before the launch, Ebeling and four other engineers at NASA contractor Morton Thiokol had tried to stop the launch. Their managers and NASA overruled them. That night, he told his wife, Darlene, "It's going to blow up." When Challenger exploded 73 seconds after liftoff, Ebeling and his colleagues sat stunned in a conference room at Thiokol's headquarters outside Brigham City, Utah. They watched the spacecraft explode on a giant television screen and they knew exactly what had happened. Three weeks later, Ebeling and another engineer separately and anonymously detailed to NPR the first account of that contentious pre-launch meeting. Both were despondent and in tears as they described hours of data review and arguments. The data showed that the rubber seals on the shuttle's booster rockets wouldn't seal properly in cold temperatures and this would be the coldest launch ever. Ebeling, now 89, decided to let NPR identify him this time, on the 30th anniversary of the Challenger explosion. 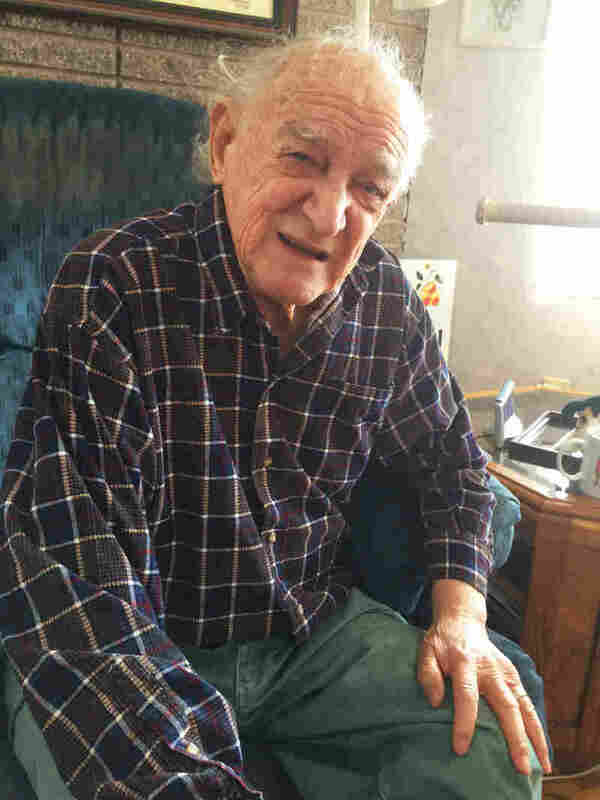 Bob Ebeling in his home in Brigham City, Utah. "I was one of the few that was really close to the situation," Ebeling recalls. "Had they listened to me and wait[ed] for a weather change, it might have been a completely different outcome." We spoke in the same house, kitchen and living room that we spoke in 30 years ago, when Ebeling didn't want his name used or his voice recorded. He was afraid he would lose his job. "I think the truth has to come out," he says about the decision to speak privately then. "NASA ruled the launch," he explains. "They had their mind set on going up and proving to the world they were right and they knew what they were doing. But they didn't." A presidential commission found flaws in the space agency's decision-making process. But it's still not clear why NASA was so anxious to launch without delay. The space shuttle program had an ambitious launch schedule that year and NASA wanted to show it could launch regularly and reliably. President Ronald Reagan was also set to deliver the State of the Union address that evening and reportedly planned to tout the Challenger launch. Whatever the reason, Ebeling says it didn't justify the risk. "There was more than enough [NASA officials and Thiokol managers] there to say, 'Hey, let's give it another day or two,' " Ebeling recalls. "But no one did." Ebeling retired soon after Challenger. He suffered deep depression and has never been able to lift the burden of guilt. In 1986, as he watched that haunting image again on a television screen, he said, "I could have done more. I should have done more." He says the same thing today, sitting in a big easy chair in the same living room, his eyes watery and his face grave. The data he and his fellow engineers presented, and their persistent and sometimes angry arguments, weren't enough to sway Thiokol managers and NASA officials. Ebeling concludes he was inadequate. He didn't argue the data well enough. A religious man, this is something he has prayed about for the past 30 years. "I think that was one of the mistakes that God made," Ebeling says softly. "He shouldn't have picked me for the job. But next time I talk to him, I'm gonna ask him, 'Why me. You picked a loser.' "
I reminded him of something his late colleague and friend Roger Boisjoly once told me. Boisjoly was the other Thiokol engineer who spoke anonymously with NPR 30 years ago. He came to believe that he and Ebeling and their colleagues did all they could. "We were talking to the right people," Boisjoly told me. "We were talking to the people who had the power to stop that launch." "Maybe," Ebeling says with a weak wave as I leave. "Maybe Roger's right."